Mozilla’s popular Firefox browser has always been a haven for tweakers thanks to its built-in support for a wide range of extensions. But getting more out of this open source browser goes beyond installing a plug-in or two. Follow these tips and tricks to really set that fox on fire! Note: Some of the following tips are applied via the detailed ‘about:config’ interface. But be careful, as a few false moves could cause Firefox to act up. It’s easy to speed up Firefox, and there are numerous approaches you can take. 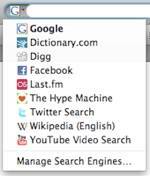 Simple things to get you started include removing unused search engines and deleting old, broken, or duplicate bookmarks that you may have saved. Doing these simple actions regularly will give you a slight speed increase, and will decrease Firefox’s shutdown time. This advanced tip can allow for a generally faster experience, and makes watching Flash videos within Firefox a whole lot swifter. Firefox automatically takes a snapshot of your browsing session every ten seconds. It does this so if Firefox crashes, you’ll be able to get back to where you were quickly and easily. But when you view Flash content, this default snapshot feature can make your video pause and buffer, spoiling your viewing experience. To fix this issue all you have to do is adjust how frequently Firefox creates session restore save points. Doing this will mean that if the browser does crash, a recently opened tab or two may get left behind, if you watch a lot of Flash video, this tweak may be a perfect compromise. Type ‘about:config’ in to the address bar and press the return key to access Firefox’s more detailed settings. Once you find the commans, edit the value of 10000 (10 seconds in milliseconds) to something more suitable such as 180000, which is 3 minutes. 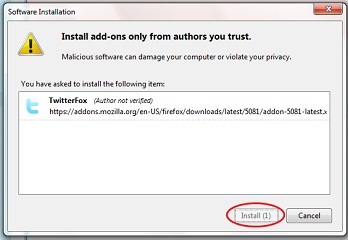 When you install a new add-on within Firefox, you’ll usually be greeted by a pop-up asking you to confirm whether or not you really want to install the add-on. security.dialog_enable_delay – Find the following entry in the ‘about:config’ interface, and edit the value to 0 to start the installation immediately. With this change made, your add-ons will install without any delay. Various other tips and tricks on how to speed up Firefox can be found all over the web, including this tip which claims to make your browser up to 40% faster. browser.download.manager.openDelay – Find and edit this value to 3000 (3 seconds) so that the downloads window does not open for those super small downloads. browser.search.openintab – This setting by default is set to False, By changing its value to True, when you use the built in browser search, your results will now open in a new tab. More advanced tips and tricks like these can be found here. Firefox makes it easy to change the way your browser looks; you can instantly give it a complete makeover. Shortly after the release of Firefox 3.5, the Mozilla Foundation released some mockups of the interface changes proposed for Firefox 4.0. If you can’t wait for Firefox 4, you can just install a theme to rock the new look. Theme creator and DeviantArt user SpewBoy has also included a handy guide on how to achieve that futuristic browser style. In fact, you can find a wide variety of Firefox themes on DeviantArt. Changing your theme is one thing, but more often than not you will want a desktop icon to match. Thankfully there are plenty of resources online that offer countless icon choices. These suggestions will set you on your way to getting more out of Firefox. There are thousands of available add-ons and extensions for everything from getting more done, or just making your browser look cooler. Make the browser your own and be sure to share your own cool Firefox hacks, mods, tips, or tricks in the comments. Contact Chris Brandrick via Twitter (@chrisbrandrick) or at chrisbrandrick.com. And follow GeekTech on Twitter @geektech for more from the GeekTech crew.